Whilst there’s definitely no easy to way to go about kicking the habit for good, there are quite a few different methods that people have found to be beneficial when it comes to quitting smoking. It’s important to remember that everybody is different and so not every method is going to work for you, but trial and error is key to finding out the best way to pinpoint what helps you and what doesn’t. Here are a few suggestions and tips to try out to help make the progress slightly easier. If you’re the type of person who enjoys working alongside others and using a support group to motivate and push you to go further, it’s a good idea to establish a support network. Having a friend who’s also trying to stop smoking can work to help you both by facing the challenge together and being the incentive for the other person to combat their cravings. Working with somebody else or joining a support system means you’re going to have a community that you’re going to be able to rely on and turn to in times when you’d usually turn to having a cigarette. Easier said than done, but a good way to help you stop smoking is to take the necessary steps to avoid what prompts you to smoke in the first place. A lot of the time, people use smoking as a way to alleviate stress, and we know that’s not as simple as getting rid of all the stressful things in your life. However, if you’re prone to hanging out in social circles where people casually smoke or you find yourself taking smoke breaks with your coworkers, you can try to remove yourself from those environments that’ll only tempt you further. With technology as extensive as it is, there’s now a range of apps that a lot of people have recommended when it comes to kicking the habit of smoking. Not only does an app allow you to visualize your progress, the software can also help you set goals and rewards for yourself, along with personalized reminders to keep you motivated. Apps such as LIVESTRONG MyQuit Coach also enable you to take different approaches to how you quit – whether you’d prefer to go cold turkey or gradually reduce your cigarette usage. If you don’t already have a regular exercise regime, it may be a good idea to develop and stick to one. Whilst it’s understandable that not everybody enjoys working out regularly, exercise has been proven to be a good way to resist the cravings that come with trying to quit smoking. By keeping your mind and your body busy, you’ll be able to keep your thoughts away from turning to a cigarette. The exercise doesn’t need to be vigorous either – find what you prefer and focus on that, whether it be horse riding, a brisk walk, or just a short swim. 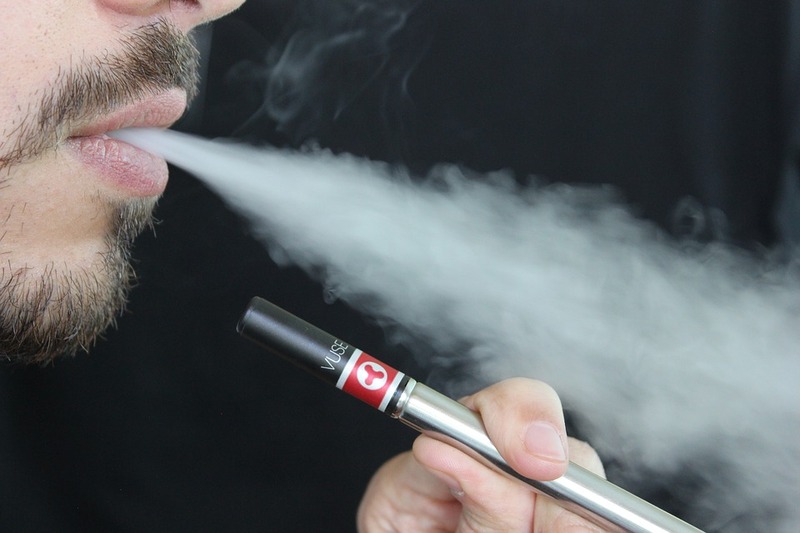 Vaping quickly grew into popularity in the last 10 years because it’s great alternative to smoking. Not only is it healthier for you, but there are tons of great tasting e-liquid flavors, and it can even help you quit smoking. Vaping allows you to control the amount of nicotine you consume, while you slowly ease yourself off the need. While studies there are studies pointing both ways, as to if vaping really helps you quit smoking, it’s a great place to start if you’re ready. The habit of smoking is one that’s tough to kick and there will often be times where you’ll feel as if you’ve had a setback. However, trying out different methods of quitting will help you pinpoint which is best suited to you to help you achieve your goal of a healthier lifestyle sooner.